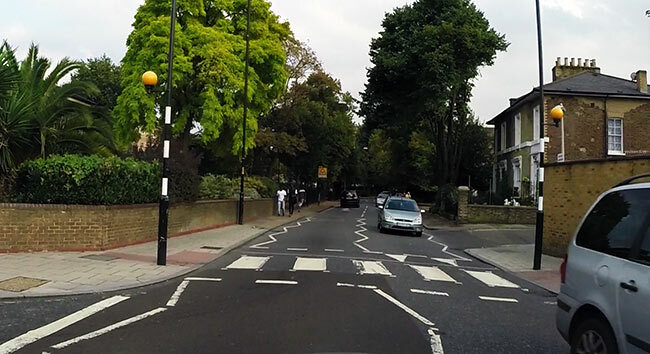 What is the difference between pelican crossing and puffin crossing? Pelican crossing is controlled by traffic lights. Pelican crossing means Pedestrian Light Controlled Crossing. Pedestrians can press a button that changes the road traffic lights to red after a small delay. Puffin crossing is almost like Pelican crossing, but little bit more intelligent. Puffin crossing has sensors which detects the precense of a pedestrian. Puffin crossings signals for pedestrians are mounted on the near road side (Unlike the older pelican crossin where signal lights for pedestrians are on the opposite side of the road). Puffin crossing has features that assists visually impaired people. Lates studies shows that puffins are safer than pelican crossings. Zebra crossing has 2 sets of flashing amber beacons. Zebra crossings flashing amber beacons has an area of road between them that's has white stripes. Zebra crossing typically gives priority to right of way to pedestrians. I find this very helpful, my only concern is the hazard tests keep freezing. this a fault of the site not my high speed broadband connection. 100 MB. I was pleased to see the zebra crossing in Southampton Way, Peckham featuring here.